There are so many different hosting plans and types of hosting for you to choose from when developing a website, so how do you pick one which is right for you? The three main types of hosting are shared, VPS, and dedicated, and each has their own main features and selling points which make them unique. As the name suggests, shared hosting involves using communal resources, none of which are dedicated specifically to you or your website. If you choose shared hosting, you will essentially be one of any number of websites (depending on the size of the server) that are competing for a limited amount of server resources. Things like CPU time, memory, and disk space are all split between the websites on the server. The problem with a shared server is that, since you have no resources dedicated specifically to you, other sites can hog the server and cause problems for your site. Another problem with shared hosting is that certain software may be unavailable or not allowed on the server. 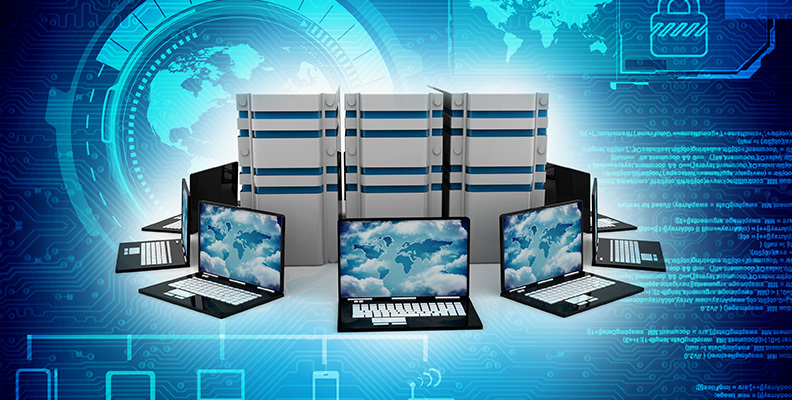 Dedicated hosting is more or less the opposite of shared hosting. Instead of sharing the server (which is basically a big computer) with other people or websites, you will have access to one hundred percent of the resources on the server. Dedicated hosting is useful for people whose websites use a lot of CPU time or memory, and would therefore not perform well on a shared or VPS server (we will get to VPS in a moment). Although it is usually the most expensive of the three options, it is essential if you are expecting a high level of site traffic. The third option, VPS (Virtual Private Server) hosting, is more or less a mixture of shared and dedicated hosting. Your website will still be located on a server that you share with other sites, but you will have a certain amount of that server’s resources allocated to you. Other sites won’t be able to access these resources, and therefore you can be sure that your website will always be able to perform to a given level. VPS hosting is a good option if you want to use specific software which is not available on shared servers or if your site’s CPU or memory needs have exceeded the capacity of your shared server. Upgrading will not only benefit you and your website, but will also prevent issues with other people on the same server.